Our spouses are supposed to be our lifelong partners. We rarely stop to consider the fact that we will inevitably lose them one day. It’s simply too painful. 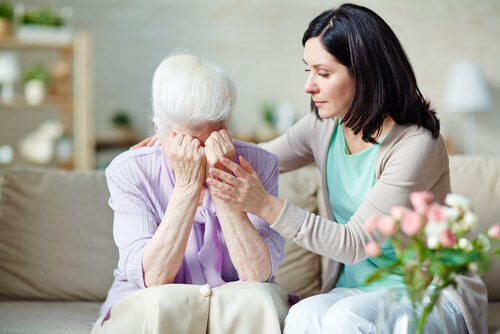 For this reason, you may feel helpless watching a senior relative or loved one – such as a parent or grandparent – struggle to heal during this deeply difficult time. 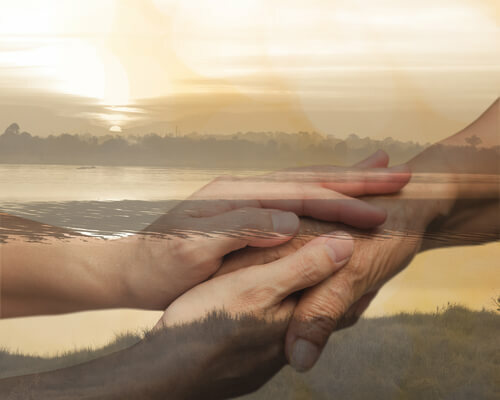 Although you can’t take their pain away or help them get over the loss of their lifelong love, there are a few things you can do to help a senior loved one cope with the loss of a spouse. First, let’s be clear: your loved one may never be “all right” or “okay” with what happened. We don’t ever really “get over” grief or death, especially when we have lost someone as close to us as our own spouse. What we can do, however, is learn to move through grief and keep moving forward with life. 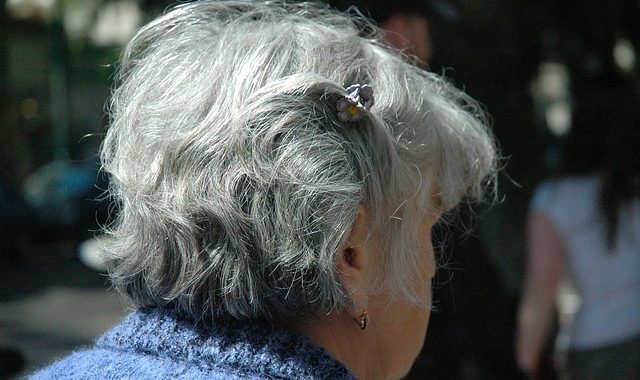 That is where you can provide help, love and support to your senior relative. Your loved one is undeniably in pain and struggling to heal. During these difficult times, it can be helpful to understand the stages of grief. Denial. This is often experienced as a state of shock or disbelief. Anger. The anger, frustration and irritability may feel intense and endless. Bargaining. This is the feeling that you would do anything to bring your loved one back. Depression. This is a normal and appropriate response to the loss of a loved one, especially a spouse. Acceptance. In the final stage of grief, the surviving spouse learns to readjust to daily life, even though his or her world has been forever changed. Some people experience these stages in order, while others bounce in between various stages at various times. There is no set time frame for how someone “should” grieve or how long he or she “should” stay in each stage. Each person will process grief differently, based on his or her own unique situation and the triggers that are encountered throughout each day. Beyond understanding the stages of grief, it is important for you to understand what is and is not appropriate for you to say to your grieving loved one. When a loved one is going through a loss as significant as the death of a spouse, you will want to choose your words carefully. It is not your job to coach your loved one out of grief; it is your job to hold space, offer hugs, and ask how you can help. Now that you have an understanding of grief, you can begin to help your senior loved one. Remember, this can be an overwhelming and emotional time. There are many responsibilities and unexpected tasks that have suddenly fallen in your loved one’s lap. Luckily, you can help your senior loved one with plans such as funeral arrangements. You can also help them handle any items that need to be donated or packed away into storage. When handling family heirlooms, you’ll want to consider how to best protect the items from damage. The last thing you want is to add to your loved one’s pain by allowing a precious valuable to be broken. Although you will never take away your senior loved one’s grief, it is possible to hold space and offer support during this difficult time. There will be pain, sorrow, and even anger. Of course, there will also be opportunities to think of how you can help your loved one honor the memory of their spouse. Read more from the author, Jackie Waters, on her website Hyper Tidy.